The multiple opportunities to develop skills and the choice of many weapons and armor enable players to shape a fully customized avatar in order to enjoy the flexibility of the combat system. Players can choose to play one of three playable classes, which are the Dragonknight, the Spellweaver and the Ranger, to protect humanity against the creatures of Altera. Other classes should be introduced later. The visually stunning game world, with picturesque medieval villages, verdant forests, gloomy swamps and dark caves, was developed using Bigpoint’s Nebula3 engine, allowing rendering an unprecedented level of graphics and 3D effects in a browser game. 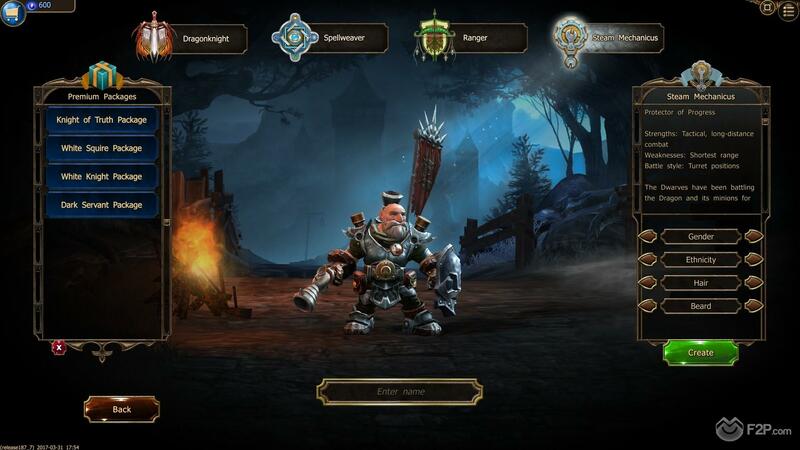 Drakensang Online is suitable for novices and RPG pros alike, as it combines the complexity of a PC RPG with the ease of an intuitive control system.